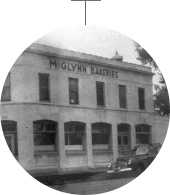 McGlynn Bakeries began an innovative approach to selling cakes by focusing on decorating cakes in view of consumers instead of in the back room of the bakery. McGlynn Bakeries began importing toys from Asia for cake decorating. 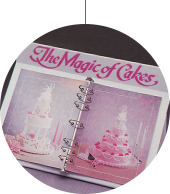 In the late 1970s, McGlynn Bakeries produced its first in-store book, The Magic of Cakes®, filled with colorful decorated cakes – making it easier for consumers to select and order cakes. DecoPac was formed as an internal unit supplying cake decorations to McGlynn Bakery stores. 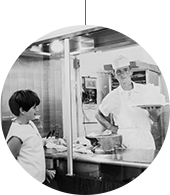 Soon other bakeries learned of DecoPac through industry associations and DecoPac began marketing pre-packaged cake decorating kits, called DecoSets®, to supermarkets, retail bakeries and bakery distributors. 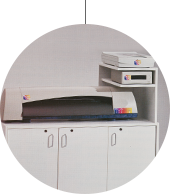 Since 1987 DecoPac has developed relationships with licensors. 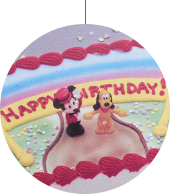 This gives DecoPac the ability to market cake decorating products featuring popular characters and brands from Disney, Nickelodeon™,Warner Bros., Mattel®, Hasbro®, DreamWorks®, MARVEL®, Lucasfilm® and team logos from the NHL®, NBA, NFL, MLB® and others. 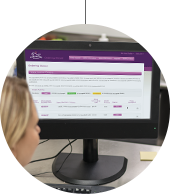 DecoPac introduces the first PhotoCake® Print on Demand Cake Decorating Solution. DecoPac continues to grow and expands into Europe with the acquisition of Culpitt, Ltd., the United Kingdom’s largest cake decoration manufacturer and distributor. Culpitt, Ltd. acquires Cake Art, Ltd., a distributor of cake decorations serving retail bakeries in the United Kingdom. DecoPac launches Cakes.com, a website designed to help consumers find a cake, find a bakery and place orders online. Cakes.com also provides bakeries with another way to promote their business. Culpitt, Ltd., acquires Sugarfayre, the leading producer of printed fondant in the UK. DecoPac is signed as the master distributor of Lucks Food Decorating Company products. 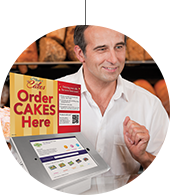 DecoPac introduces a web application that serves as a digital cake book and in-store online ordering solution for bakeries with The Magic of Cakes® Kiosk. Culpitt acquires The Craft Company in England to sell cake decorating products to at-home cake decorators in England and Europe. DecoPac acquires Bakery Crafts®, bringing more than 150 years of combined bakery and cake decorating knowledge to customers across the globe.